AmEx (AXP) is the worst performing stock in the Dow this year, and things don't appear to be getting better anytime soon. The credit card giant reported its first quarter results Thursday afternoon. Investors are treating the stock like a cardholder with an overdue balance. Declined! AmEx fell more than 5% Friday. It's now down 17% in 2015. Why are investors bummed out? Although the company's earnings topped forecasts, sales missed. 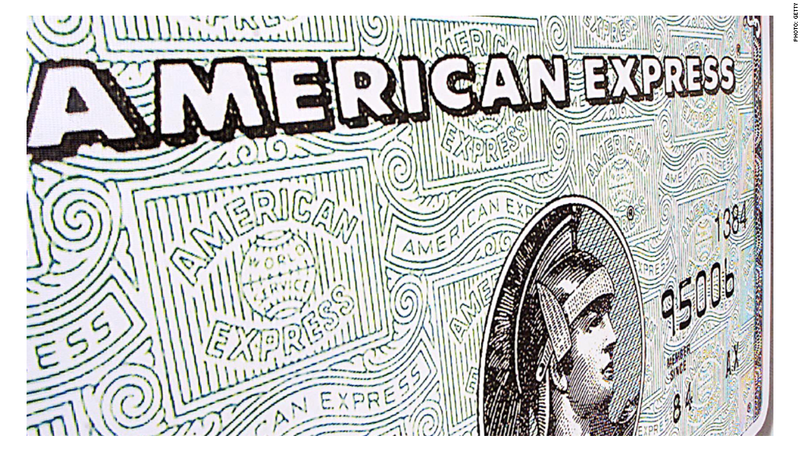 AmEx said the strong dollar was having a "significant impact" on its international business. It's not alone. Most blue chip firms with big overseas operations have warned that the greenback is going to squeeze sales this year. But AmEx has bigger issues than currency fluctuations. The company said it will be investing heavily this year to try and replace business it's poised to lose in 2016 once its deal as the credit card partner of Costco (COST) ends. 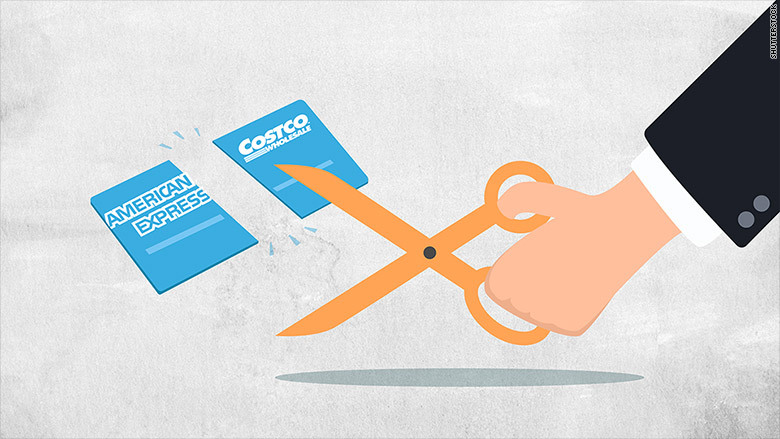 Costco is replacing AmEx with Citigroup (C) and Visa (V) starting next April. AmEx's profits are likely to be flat or even a bit lower this year. But there are concerns that AmEx's problems will take more than a year to fix. JetBlue (JBLU) is also ending its partnership with AmEx in favor of a new credit card deal with Barclays (BCS) and MasterCard (MA). Analysts are predicting little to no revenue growth for AmEx in 2016. And they've slashed their earnings forecasts for next year by nearly 15% over the past three months. It's always risky to buy a stock when fundamentals are deteriorating and estimates are falling. Just look at what happened to oil companies last year and earlier this year. AmEx may soon reach a point where the stock is cheap enough to be attractive. But we're not there yet. Shares trade at 14 times earnings forecasts. That's cheaper than Visa and MasterCard but it's still more expensive than other rivals like Discover (DFS) and Capital One (COF). But AmEx still has one big fan. Warren Buffett. AmEx is one of Berkshire Hathaway's (BRKB) so-called "Big Four" stocks. The others are Wells Fargo (WFC), Coke (KO) and IBM (IBM). Buffett did not comment specifically on the challenges facing AmEx in his most recent shareholder letter. But he did say that all of the Big Four "possess excellent businesses and are run by managers who are both talented and shareholder-oriented." That may be true. And AmEx did announce plans to buy back $6.6 billion in stock and raise its dividend after the Fed gave the green light to its capital plan last month. But that's not enough to satisfy nervous investors. They're ignoring Buffett. And Karl Malden. They're leaving home without AmEx stock.